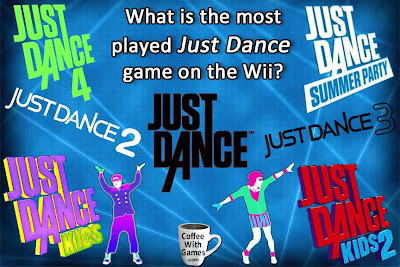 Coffee With Games: What is the most played Just Dance Wii game? 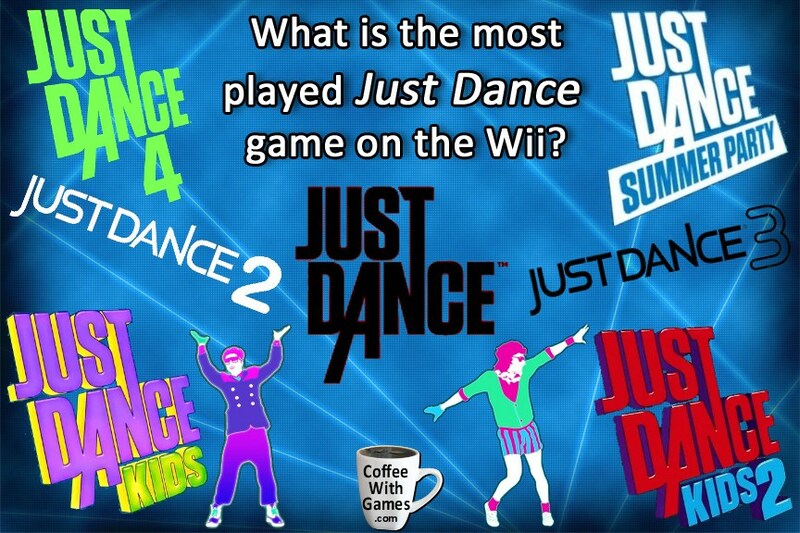 Will you be dancing with Just Dance 4 on the Wii U? 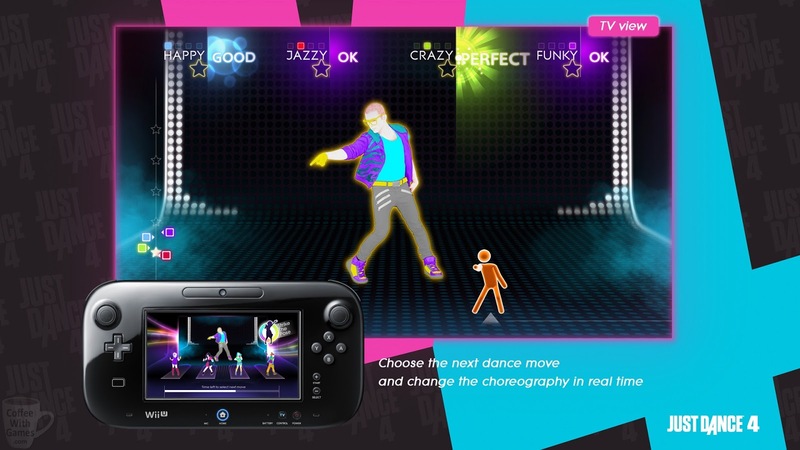 Information reported from U.S. Wii owners. You can read older data reports on Just Dance, Just Dance 2, and Just Dance 3: here, here, and here. I am a big fan of the JD series. I've played 1, 2, 3 and now 4 (didn't bother with the "side games" aside from the Michael Jackson experience, and that one is ok). 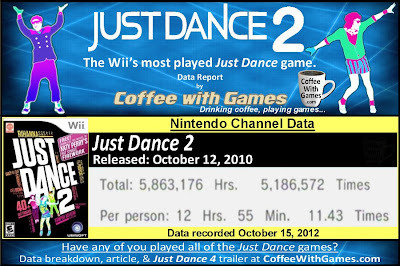 1 was pretty shovelwarish, but the three sequels have all been amazing fun. I do think 2 has the edge in terms of the quality and variety in music, but I'm really impressed with some of the gameplay additions to 4, like dancer's card. 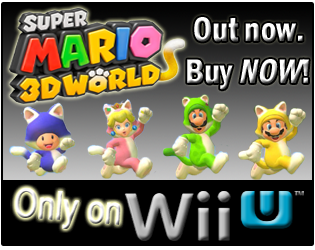 And of course the upcoming Gungnam Style DLC. That thing alone is going to be hilarious. Yeah, even though I haven't played them, just from seeing the PR releases each year and the marketing, shows me they aren't trying to get "comfortable" with the series. 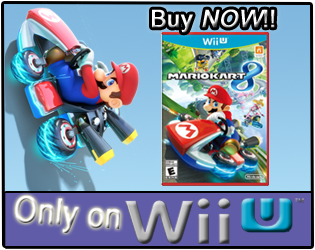 Also, which version do you go with each year?